You have heard of Mahakumbh or Kumbh Mela which happens every 12 years in Allahabad in India. What about Himalayan Mahakumbh which occurs every 12 years in Garhwal Himalayas? 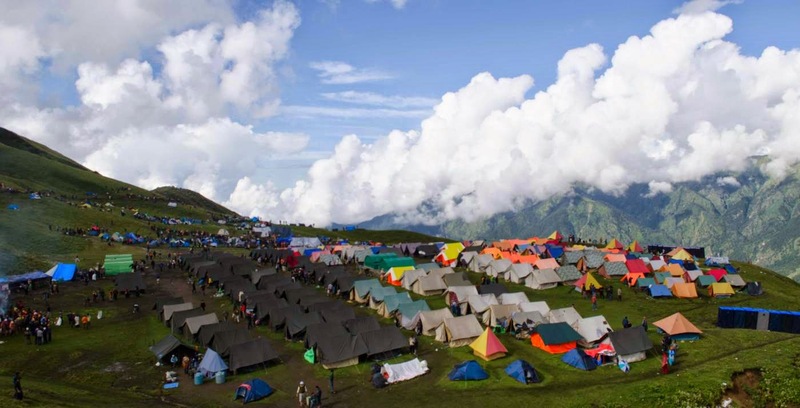 What do you say when you read that 10,000 people trek for 280 KMs in high Himalayas once in 12 years. We were surprised and delighted when we chanced upon this interesting link in a lively Facebook community known as Himalayan club. Reading the article made us go through the yatra ourself. Nanada devi Jat yatra or Himalayan Maha Kumbh happens every 12 years. 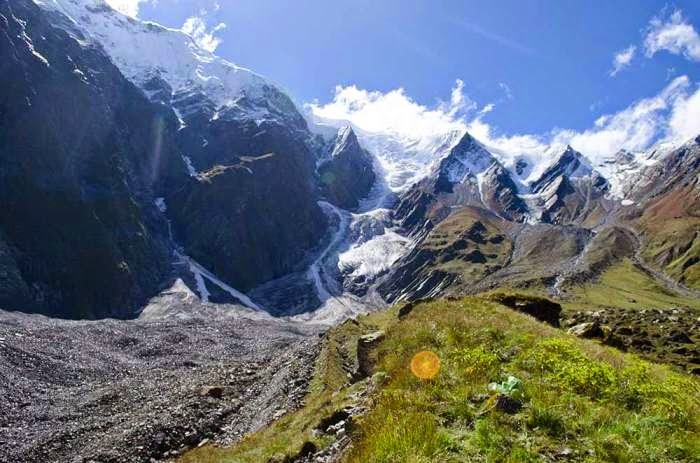 It involves a 280 KM trek across Uttarakhand in North India, where thousands of devotees follow a four-horned ram, also known as the chausinghya khadu, and walk alongside a palanquin carrying the statue of the deity Nanda Devi, passing through villages, forests, slush, waterfalls, alpine meadows, narrow ridges, steep passes, moraines and icy glaciers. 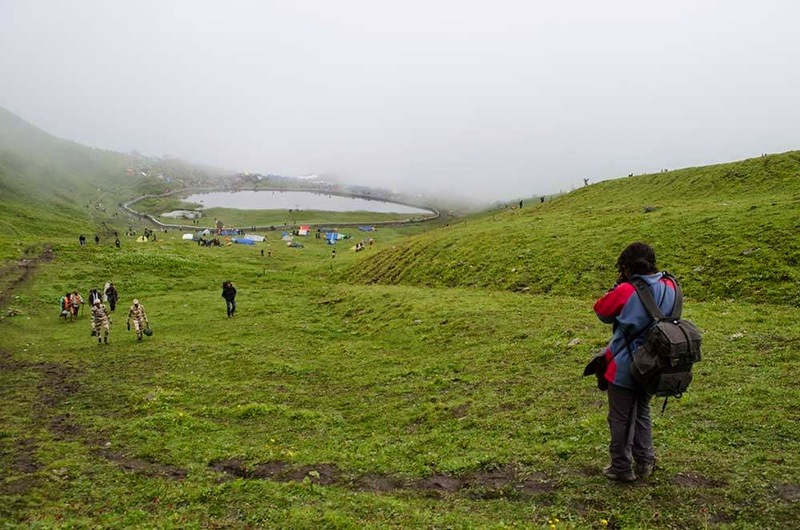 Supriya Vohra of The Outdoor Journal travelled with Yatris this August to experience what it means trekking at high altitude traversing moraines, slushy trails, braving incessant rain. Of course she was also greeted with lovely vistas of Nanda Devi and Trishul massif, beautiful meadows……. Let us not play spoilsport. we will allow you to enjoy the yatra yourself. Click on the link below to read the complete story of “Himalayan Maha Kumbh” by Supriya. Have you been on this yatra? What has been your experience? Dudhsagar Falls – A Monsoon trek on Railway Track! Four beach treks in Karnataka you must do! We hope this post was useful and you enjoyed reading it. If yes, please share it among your friends by clicking the buttons on sidebar. Our idea is to share the experiences. Thank you. Skywatch Friday – On Southern tip of India! Amazing Yatra… and Nice Snaps..
We also provide the Cheap Domestic Tour and Cheap International Tour..